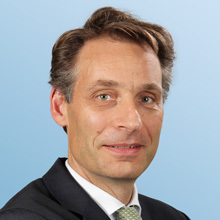 Michaël is a Partner who joined Arthur D. Little in 2000 and has been based in the Amsterdam and Kuala Lumpur offices. He coordinates our global Chemicals Practice and leads our Technology & Innovation Management Practice in the Netherlands. His consulting focus finds itself in the areas of Growth and Innovation performance enhancement, primarily in the chemicals, life sciences and other technology-intensive industries. He is a regular speaker at innovation conferences. Michaël’s mission in his professional life is to help clients find and capture opportunities for sustainable growth and value creation. Very often this involves the “what” (strategy creation, opportunity scouting, business-case creation, etc.) alongside the “how” (innovation management, organization and process redesign, capability building, change management, etc.). Before joining Arthur D. Little, Michaël worked for Shell Chemicals as a workgroup leader in its Amsterdam Technology Center, providing technical support to internal customers in downstream oil and chemicals. Michaël holds an MSc in biochemistry from the University of Amsterdam and a PhD in biophysical chemistry from Radboud University. In addition, he has attended the Executive Education program of Insead, France. Michaël is married and has three young daughters. His other interests are literature, world politics and popular science. In his spare time, he likes to run (regularly) and travel to the world’s more distant places (occasionally).